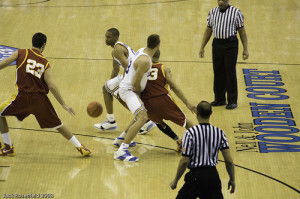 The pick and roll is one of the most effective, oldest, and most commonly run basketball plays in history. It was first made into an art form by John Stockton and Karl Malone at Utah. It can be devastating against any defense when the players know how to run it properly. Before I get into the finer details of how to efficiently run the pick and roll, let’s go over what exactly a pick and roll is. At the most basic level, a pick and roll is an offensive play that involves a player setting a screen for a teammate that has the ball. You want the person with the ball to have great decision making, passing, and dribbling skills. The person setting the screen is usually a forward or a center. For this article I’m going to assume the centers and forwards and setting the screen, and the guards and dribbling the ball. The most important thing is for the guard with the ball to have great decision making, passing, and dribbling abilities as they are the ones that will be in charge of creating the play. It can be run from anywhere on the court, but most coaches only run it from either wing or at the top of the 3-point line. These are the places where the guard will have the most space to create. Now let’s get into the main things each position should be doing to make the pick and roll successful. I’m going to provide you with step-by-step instructions on what each player should do. Here are the 5 requirements of the guards to running a successful pick and roll. Set the defender up. This is to keep the defender honest and make sure they stay in front of the player with the ball and don’t cheat. 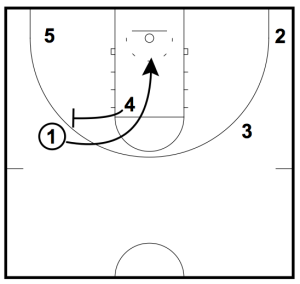 This can be done with a quick dribble move away from the screen. All you need to do is a quick in-and-out or a jab step. Come off the screen shoulder-to-shoulder. There should be barely any space between the dribbler and the player setting the screen. It’s the guards job to run the defender into the screen! This gives the defensive player has no chance of staying in front. 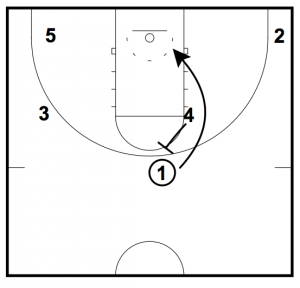 They’re going to be behind and give the guard a head start to the hoop. Be patient. Wait until the screen is fully set. Patience is an important part to an effective pick and roll. Too often inexperienced guards takes off before the screen is set. Attack coming off the screen. There should be an obvious change of speed. It won’t be long before the defender hustles to catch up and get’s back in front. Read the defense. Once they’ve used the screen, the guard must read the defense and make a decision about what to do next. Recap: The 5 guard requirements. Be patient and wait for the screen. Here are the 5 requirements of the forwards and centers to running a successful pick and roll. Don’t telegraph the screen. This isn’t always easy because at a younger level the same plays are run over and over. The defense is going to gradually learn when and where the screens will come from. Which makes it impossible not to telegraph. But I still believe it’s a crucial step that all players must learn. For instance: In a close game, if you draw up a play during a time out that the defense hasn’t seen before, not telegraphing a screen may be the difference between your shooter getting an open shot or not. 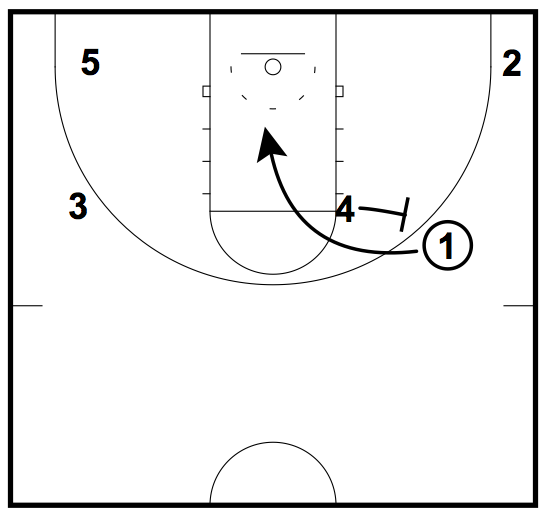 Sprint to set the screen. It’s imperative to create separation between the screener and his defender. It will make it a lot easier for the guard to decide what to do once they’ve used the screen and a lot harder for the defenders to decide whether to switch on the play or not. Hold the screen. The more separation you can create between the guards defender and the guard, the better. It will force the defenders to switch, whereas if you roll too early, the defenders will have a better chance to recover. Roll or dive to the basket. After setting a screen on the guards defender, you have the option to either dive to the basket, or reverse pivot and roll to the basket looking to receive the pass for the layup. Show a target hand. On the roll make sure that the bigs call for the ball and show a target hand where they want the ball to be passed to. Recap: The 5 center and forward requirements. Try not to telegraph the screen. 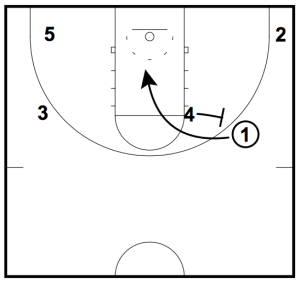 Sprint to set the screen. But what about the other 3 players? If you were thinking that; good question. Because the other three players on the court are just as important in the pick and roll as the two running it. The other three players must space the floor. They must recognise the pick and roll is happening and spread out accordingly. This generally involves them moving outside of the three-point line so that the guard has space to create a play. 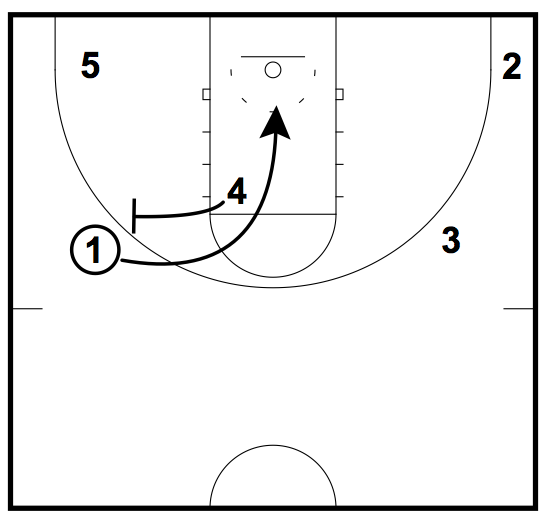 Assuming that the three players can knock down the outside shot, if any of the defenders drop in to help out guarding the pick and roll, the guard can pass to the open player for the wide open shot. Do you use the pick and roll in your offensive system? You might be able to add something to help out other coaches. Leave a comment below with any suggestions.